In October 1958: "La Mano Rossa" arrives on newsstands. 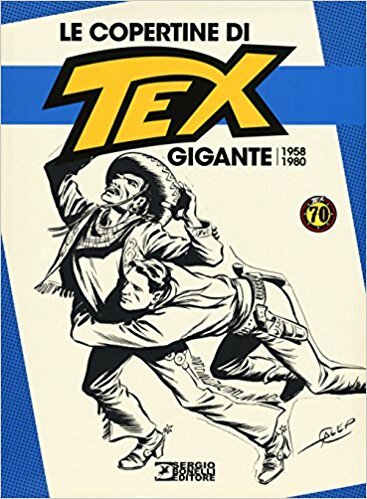 It is the first issue of Tex Gigante, the flagship of Sergio Bonelli Editore. A comic book born in 1948 as a small strip and became over time a publishing success with few comparisons and a phenomenon of national custom. On the occasion of the seventy anniversary of the character, a work has been published in three volumes (this is the first one: 1958-1980), which together constitutes the complete repertoire of the covers of the magazine. A figurative history of an editorial myth, but also a path full of anecdotes and curiosities and, together, a nostalgic dip into the youthful readings of all of us. Joe Namath (actor) is 75 today. At LUX, Monsieur Bourgeois was the official director. My first film was the "DESPERARDO", filmed in the quarries of Arcueil in 1908, followed by "LA MAIN COUPEE" whose action took place in the lowlands of China Town in San Francisco. Being then the only executed movie in the category of Adventure Films, I was put in all the stunts, when the subject required a particular action. I was in turn a bad Chinaman, a pirate leader, a duelist Louis XIII, a gentleman Louis XV, saving the life of a young woman (Marie Laurent) tied by revenge to a stake that the rising tide was gradually covering (suspenseful). I found a job as a cowboy in "A COWBOY IN PARIS". The finale of this picturesque film showed me lassoing, two apaches which I surprised as they were walking on the Cours La Reine, coincidentally, I was riding on horseback. At full gallop, the capture was done on the sly. On the Place de la Concorde, in the middle of all the cars, where we were then banned from operating in the street. Encountered by a passersby of this unusual and realistic brawl, the police station of the Grand Palais detached two agents who verbalized with much aggressiveness, as two false colleagues, previously hidden in a cab for not attracting the attention of onlookers, and intervening to arrest the bullies on the tarmac, were accused of ridiculing their profession. After the first films in Paris, I managed to decide the direction to go to turnout Westerns in Camargue, which for the time took on the proportions of an expedition to the Center of Africa. My dear Camargue, moreover, had very little resemblanceto the American West, but the big wild spaces, the presence of herds of bulls and wild horses, were all the same. more spectacular than the plain of Nanterre (then deserted) and could use them again. After having made about fifteen films for "LUX", I was engaged in 1909 by "SAFETY - BIOSCOPE" of London, for the series: "THE ADVENTURES OF BUFFALO - BILL". At "GAUMONT" in 1910, I wrote six stories that were shot in the Camargue, under rather difficult conditions. Between two of these films, Mr. FEUILLADE, the Artistic Director, asked me one fine day simply: "Can you kill a lion, you’re the Cowboy?" (no report by the way ...). Finally, it was in the category "Adventures". I asked for some clarification. The Gaumont house had bought from the menagerie AMAR, a lion guilty of so many mischiefs, that his owner had decided to have him put down, then he had the genius idea to sell it to the famous firm. Unable to handle him, we did not know what to do with this cumbersome character, relegated to the basement of the Buttes Chaumont studios, whose roaring prevented us from sleeping. Then, in a film whose action was quite complete and was happening in Algeria, it was written that: "The lost hunter was burdened by a lion he was to slaughter", and it is to me that the execution was pleasantly entrusted. Well-chosen to situate the drama, the gorges of Franchard were equipped with an enclosure twenty meters long by ten wide, in which the lion, transported in a cage on a truck, was to be set loose on the hunter, laying at the foot of a rock, what was going to happen? Nobody could predict it. In 1911, I signed a new contract with Mr. BATES. Director of the firm ECLIPSE. It is there, that with my friend Gaston ROUDES I made my best series: "THE ADVENTURES OF ARIZONA BILL", with my incomparable horse "WHITE FEET", product of the Kennage breeding of the Marquis of BARONCELLI JAVON. My other horse "ESCAPA" an Anglo-Arab, served as a mount for the female actresses of my films. The filming technique had made great progress, but it was still in the learning process. In the course of the years 1911 and 12, I made for "ECLIPSE" a dozen films such as: "THE CONSCIOUSNESS OF RED HORSE" "THE ISLAND OF EPOUVANTE", "THE BIRD OF PREY", "THE UNDERGROUND CITY" , “THE SILVER TRACK "," THE RED DEVIL ", “ONE HUNDRED MORE DOLLARS "," IN THE BEAR’S CLAWS ", etc. All these Westerns were released in Belgium, Germany, Russia, England, Italy and America, where competition was always possible. Always on the look-out for an incident, of a point useful for staging, I could at this time my use of opportunism, stopping a scene in course, to count another, if it presented itself all made outside of my main subject. Thus turning in the port of Cassis, a surefire film of Opium, I saw huge smoke, cutting through the surrounding hills. Leaving my customs officers and my fraudsters, I rushed to the scene of the disaster with three of my actors. On a general idea conceived hastily, I made some scenes near the fire, which put an end to the gendarmes. The camera was taken and held in security, we help to fight the flames. From 1912 came "THE FOREST ON FIRE", which the results were sensational. The distributors were always asking for something new in this kind of films: something new in a sporting feat, in the reconstruction of an accident (some of which were real, were judiciously incorporated into the action). Everything happened there: shipwrecks, stagecoaches, trains, the first planes, dangerous riders, the bulls, the big cats, and I'm sure that the most dangerous scene I had to do was the one with a train and my horses", I managed to escape by developing briefly the details of its execution. 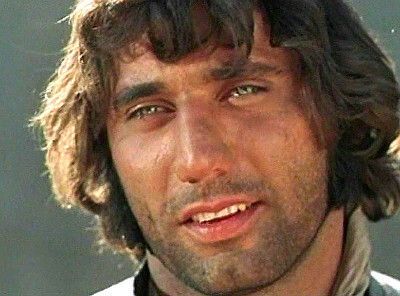 Veteran French Canadian actor Gabriel Gascon died on May 30, 2018 in Montreal, Quebec, Canada. He was 91. Born in Montreal on January 8, 1927 and was known mainly for his theater work but he also appeared in films and on TV. He was the brother of comedian Jean Gascon. He began his career in 1951 and from 1965 to 1980, he lived in France, where he multiplied the roles in the theater and in front of the camera. 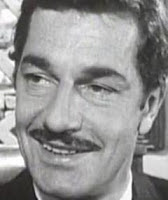 Gascon appeared in the Euro-western TV mini-series “The Leatherstocking Tales” (1969) as Doctor Battius.